Giant refill with Viscoglide technology for easy, gliding writing. ISO format G2. Writing color blue. Extra Broad line width (XB). The wear-resistant stainless steel tip guarantees that the large ink supply can be fully used and does not smear. The ink dries quickly - even on smooth paper - and is smudge proof when highlighting it later on. 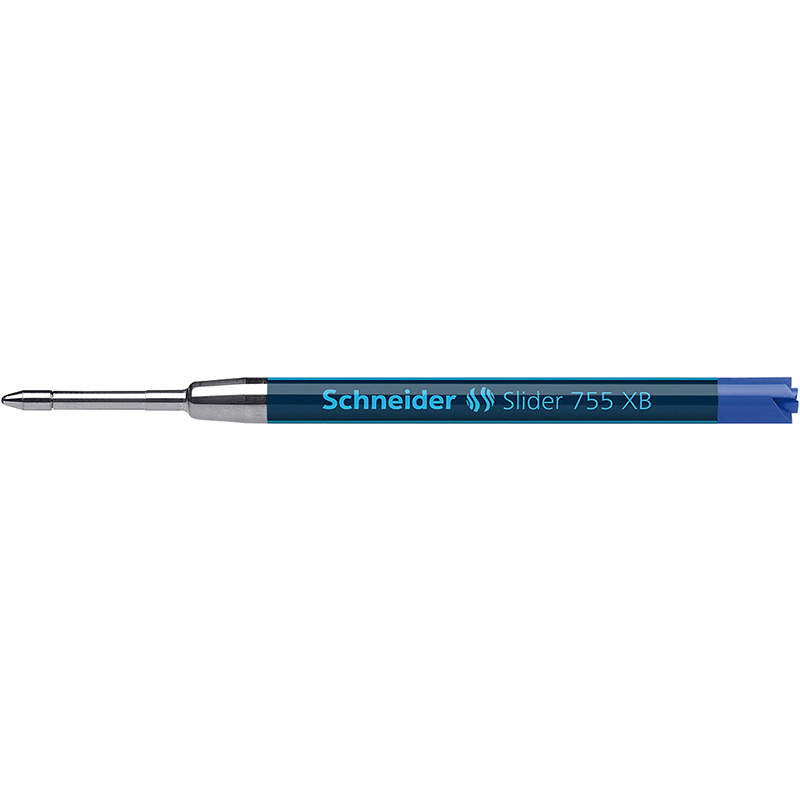 Fits all Schneider Plug+Play ballpoint pens as well as many other pen types.